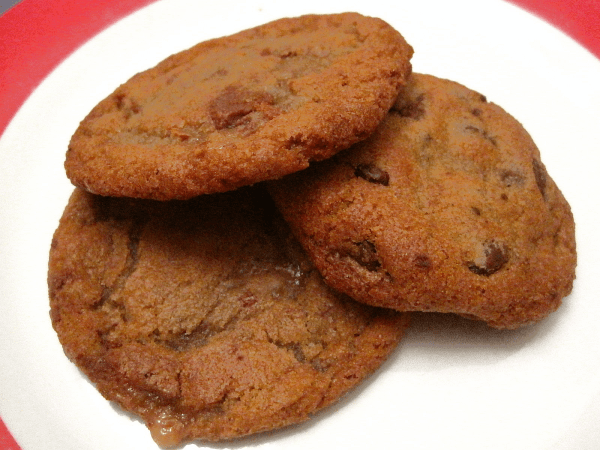 Think fast: who is the person that makes the best cookie you’ve ever had? I’d bet cold hard cash that you’re about to throw down for your mom...although your grandma may also be a contender. Hell, maybe you’d even say yourself! But guess what? You’re wrong. It turns out that your mom doesn’t make the best cookies. Anthony does. Well, that may not be entirely fair to say considering Anthony (Lucas) only makes about 15 different flavors, all of which fall into the realm of what he calls “simple cookies.” Think of the “classic” or “nostalgic” variety: the standard Chocolate Chip baked in your home oven using the recipe on the back of a bag of Nestlé’s. It may not be a French macaron, but when it comes to “standards” Anthony is the Sinatra of cookies: simply the best. Now, if you’re thinking to yourself, “Man, that’s a bold statement,” let me tell you that I hear ya and totally get where you’re coming from. Even for me, making that claim is a bit disarming because, I mean, it’s not like some exotic sea creature that you only taste once in your lifetime. It’s a freaking cookie! I’ve probably eaten thousands! So yeah, you should know that before landing on such a strong opinion, I had to work through some weird emotions - like feeling stuck in a state of disbelief and utter certainty at the same time. Even now, it’s still hard for me to wrap my head around the fact that after more than a quarter-century, one bite of the Toffee Chip destroyed everything I knew about cookies; it was crispy on the outside, soft on the inside, still warm, perfectly sized, sweet-but-not-too-sweet, and melt-in-your-mouth delicious. Trust me when you have that first bite, you too will understand that when it comes to cookies, there’s really no competition. BUT WHY?!!! I don’t understand it at all. I mean, they look like your garden variety cookie, so you certainly wouldn’t guess it by their appearance. And, they’re not like, say, the Humphry Slocombe of the cookie world, stickin’ it to the man and challenging dessert norms with crazy flavors. 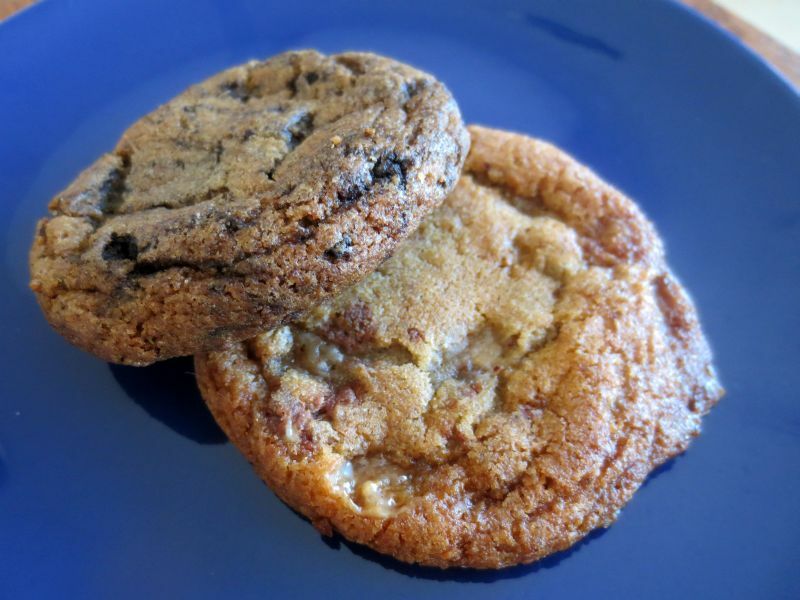 As far as flavors go, the selections are relatively traditional – think: chocolate chip, oatmeal raisin, with a couple of twists like Cookies n’ Cream. So what is it? Hoping to uncover the secret behind the magic, I stopped by to get some answers. Although they explained that extreme attention to detail is taken at all times, like making sure every cookie in every batch is up to their impeccably high standards by smelling and tasting them as a sommelier would do with wine, there wasn’t much to tell. Apparently it really is simple: all of their ingredients are well-sourced, and the recipes are the result of a single man who has worked at perfecting his craft through methodical experimentation for over 10 years. No tricks; no secret ingredients; nothing you couldn’t do at home. Well, that’s what they say, but I don’t believe ‘em. I’ve always known there was a secret, and hearing their answers just confirmed what I knew all along: Anthony has magic in his hands, and that’s why every bite is so damn good.